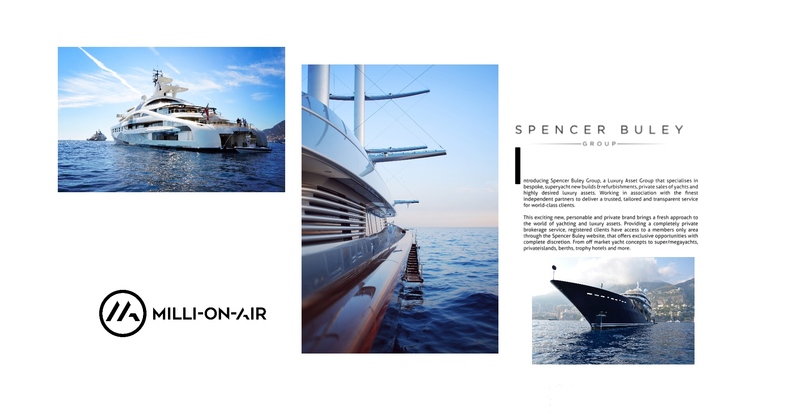 Introducing Spencer Buley Group, the quintessential British brand that specialises in bespoke, superyacht new builds & refurbishments, private sales of yachts and highly desired luxury assets. Working in association with the finest independent partners to deliver a trusted, tailored and transparent service for world-class clients. This exciting new brand brings a fresh approach to the world of yachting and luxury services. Registered clients have access to a members only area through the Spencer Buley website, that offers exclusive opportunities with complete discretion. From yacht concepts to superyachts, private jets, islands and estates. Founders, Ashley Spencer Hurrell and Greg Voice head up Spencer Buley. Their synergy, extensive knowledge and decades of experience within the luxury superyacht market creates the perfect team. For the yacht new builds and refits Spencer Buley have an expanding portfolio of world leading and independent partners. Which includes Laurent Giles, one of the most established names in yacht design and naval architecture, offering a full range of services, from initial concept development and technical support, to class and flag approval, structural design, through build support to final handover to the client. The Group are also proud partners with award-winning London architectural interior designers, Keech Green, who have developed styles that fit equally well in Moscow, New York or Geneva. Their desire for longevity ensures they rise above short-term fashion statements and provide timeless elegance in their designs. Ashley and Greg have a shared vision. As Ashley explains, “Working for the best, means working with the best. Our focus is on listening to our clients, guiding them through the design, new build and refit process and introducing them to the world’s finest independent partners with years of expertise and experience in their specialist fields. We work directly with clients and the luxury maritime sector to offer a tailored turnkey design and build solution for the modern day client, who wants value for money with full autonomy. Resulting in a better yacht, at a better price.